From the Preface:The fact that so much of modern art has devoted itself to the exploration and assertion of its own identity is reflected in, but does not explain, the increasing amount of writing and talking on the part of contemporary artists. Rather, the whole history of the changing role of art and artists in a democratic, industrial, and technological society stands behind the spate of artists' words and the public's hunger for them?even some of the general public out there beyond art's little circle. Statements by artists appeal somewhat the way drawings do: they bring us, or at least they hold the promise of bringing us, closer to the artist's thoughts and feelings and to an understanding of his or her modus operandi; they hold the keys to a mysterious realm. And sometimes they offer us the sheer pleasure of good reading. Such is the primary raison d'�e of this book.Its other motivation is educational, and stems from the frustrating lack, in teaching contemporary art, of any single compilation of statements by American artists from 1940 to the present.? 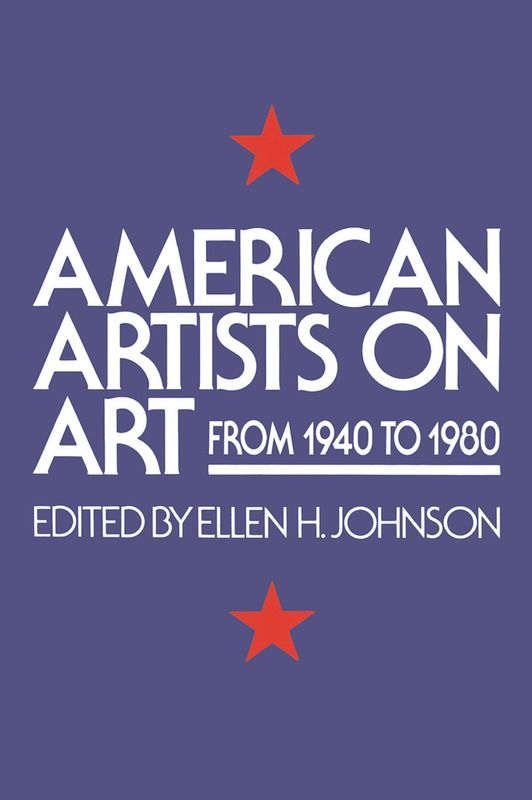 This anthology differs in several respects from those others that do include documents of American art since 1940.? The selection I have made is devoted exclusively to statements of artists; it is limited to the last four decades; it presents in a single volume a representative and fairly comprehensive coverage of major developments in American art beginning with Abstract Expressionism; and, whenever possible, it cities the first, or among the very earliest, documents signalizing a shift in the definition, intent, or direction of art. ?